"Conch Soap Mold MW 20 "
COMMENTS: This one is great for soaps.No problem releasing the soap. "Nice detail and stunning in a swirl pattern"
COMMENTS: I use this mold a lot, usually with either an elegant, feminine fragrance or a tropical-ish scent. The soaps come out easily, the details of the mold are nicely defined, and the soaps that I've used the swirl-in-pot method for have come out divinely! "Beautiful Design, tough to get the soap out. " COMMENTS: This mold has a great shape, very unique and looks wonderful in a soap dish. The beauty of course is dependent on getting it out of the mold without breaking it though. The plastic doesn't have any give so it was difficult to release the soap. I broke two out of four of the soaps I made trying to pry them out. I tried running the back under hot water with only a 50% success rate. Next time I'll try freezing them after they set up on the advice of other reviewers. COMMENTS: I picked this mold specifically for a ocean theme. While I wanted to be a little more creative with using several colors, it was a little difficult to create the colors in the areas on the shell that I wanted specific colors. I found that also any heavier ingredients I added....glitter or clay, they sunk to the very tip of the shell which then looked very unappealing. So 3rd time around I settled for a solid color and it looked great. Easy to remove from mold too. COMMENTS: Easy to use and makes beautiful and perfect melt & pour soap. Very professional looking, elegant and yet fun. I'm in California and will use it all year. I did freeze my soap for one hour before popping them out (after letting them dry for 24 hours) and it worked perfectly! COMMENTS: This is just gorgeous. Makes the most beautiful bars. The detail on the shell is amazing. The mold is very easy to wash, warm water. Easy to unmold. This makes 4 full size bars. Put these bars in a basket with the other shells WSP sells and they are a total knockout!!! • Easily cleaned and unmolded. COMMENTS: I love these molds! Not only do the soaps look amazing, they also fit in your hand very comfortably. 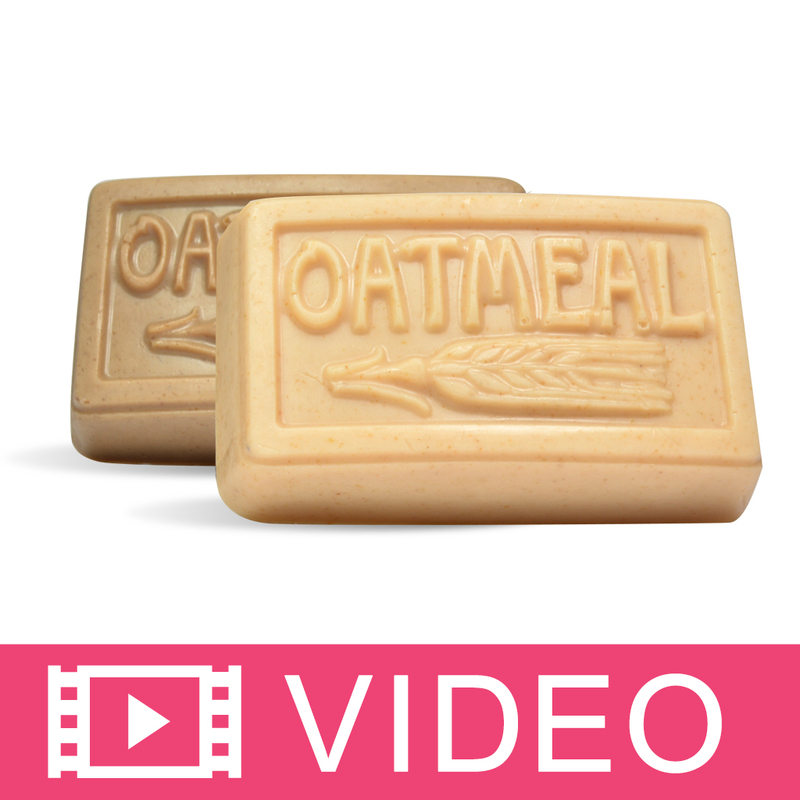 I love to use these with my oatmeal soaps. The texture of the oatmeal and natural color make the shell look more realistic. Everyone requests these soaps. COMMENTS: This came out great and give a wonderful summer theme to your soaps. Easy to unmold and nice size. COMMENTS: Larger-sized, realistic shell molds are hard to find. This is the best I've found. I pour a little white soap first, let it set, then pour pastel pink or beige for a more realistic shell. COMMENTS: These look wonderful with WSP oatmeal soap or white with coconut scent.